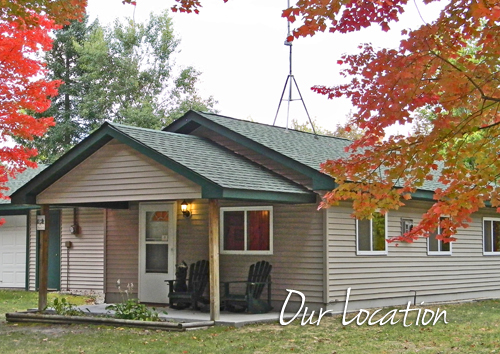 Rainbow Resort Cabins and Canoe Livery is located on the quiet side of the AuSable River in Mio, Michigan. Heading up from the South, Exit I-75 @ Exit #202, go north on M-33 for 36 miles. In Mio, turn left at light onto M-72. Go west 4 1/2 miles to Camp Ten Rd. Turn Right, go north 2 1/2 miles to Rainbow Resort. Please utilize the Google Map below to view our Mio, Michigan location on the AuSable River. Explore Mio, Michigan and discover the hidden treasures this area offers for all ages. Imagine the perfect vacation - the river, the camp fire, the total relaxation, - that is Rainbow Resort.